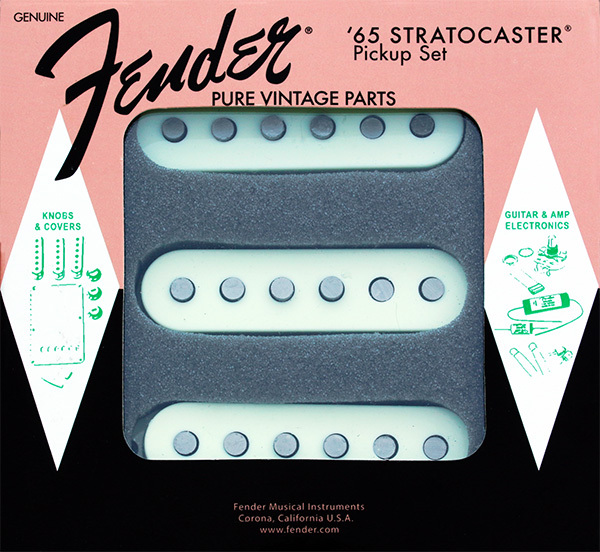 From vintage bobbin construction to genuine original-era cloth wiring, all Fender® Pure Vintage pickups are wound to precise specifications for authentic, traditional Fender® tone and performance. 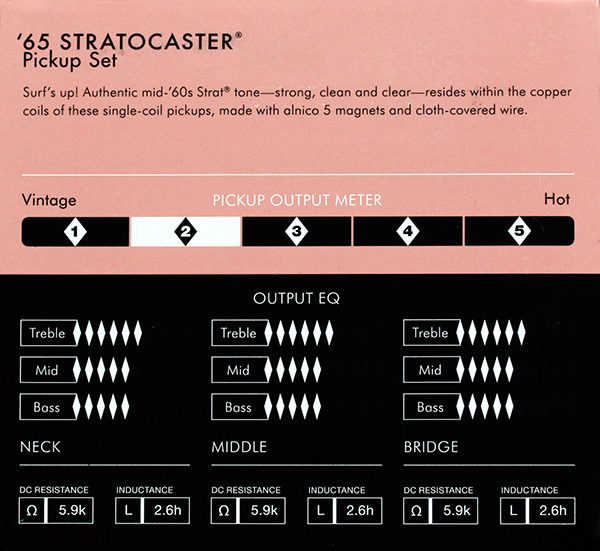 The Fender® Pure Vintage '65 Strat® pickups are the same pickups installed in the Fender® American Vintage ’65 Stratocaster® guitar. No other pickups give you the powerful, clean and clear surf rock tones of mid-’60s Stratocaster® guitars like dutifully constructed, meaty-sounding Pure Vintage ’65 Strat® pickups. Enamel-coated magnet wire delivers warm vintage-style tones. Staggered pole pieces balance volume and output across every string. Period-correct cloth wire and fiber bobbin construction. Includes 6 nickel plated Philips oval head mounting screws. Includes 6 pickup height adjustment tubing pieces.